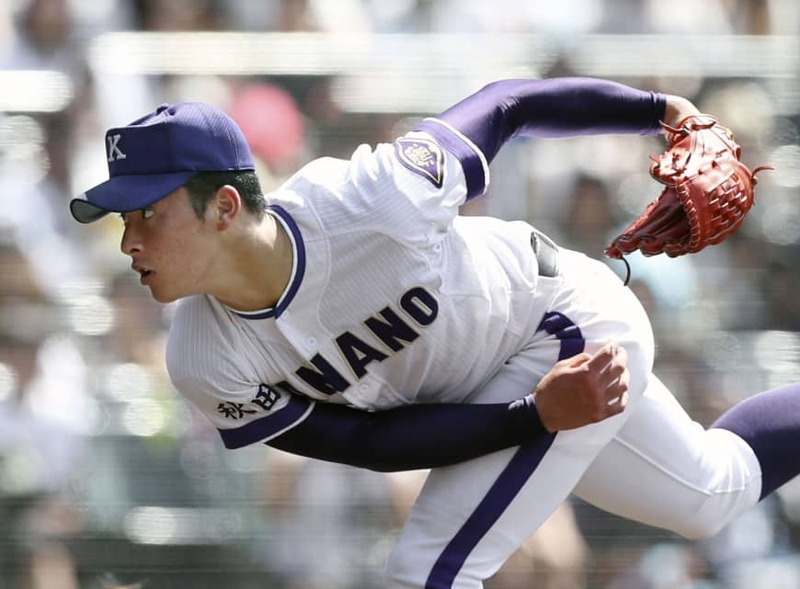 OSAKA - Japan’s complex relationship with marathon pitching performances will get a new look next spring, when the Niigata Prefectural High School Baseball Federation revealed Saturday it will institute the first pitch limits in Japanese high school ball. Epic high school pitching performances are the stuff of legend in Japan, but high pitch counts are commonly believed to put pitchers’ elbows and shoulders at risk. This year, Japan’s national high school federation sought to combat the problem by instituting a tiebreak system starting from the 13th inning to reduce the chances of extreme pitch counts — but without actually limiting pitches. Starting from next spring’s Niigata Prefectural Tournament, pitchers will not be able to start an inning if they have already thrown 100 pitches. With the number of new high school baseball players dwindling in the prefecture, the Niigata federation formed a committee on youth baseball, which sought to both prevent elbow and shoulder injuries and solve the prefecture’s participation issue. The National High School Baseball Championship, held every August at historic Koshien Stadium, is arguably Japan’s most popular sporting event. This year, pitcher Kosei Yoshida pitched Akita Prefecture’s Kanaashi Nogyo High School to the tournament final, throwing 881 pitches over six games. By the final, Yoshida’s fourth game in five days, he was in a state of total exhaustion. Dr. Kozo Furushima, who works at Gunma Prefecture’s Keiyu Orthopedic Surgical Hospital, said too many players are hindered by injuries. “In order to protect the bodies of children, adults must change the rules,” he said. In 2014, Major League Baseball cooperated with USA Baseball to publish the Pitch Smart guidelines. They identified contributing factors to arm injuries which include pitching on consecutive days, throwing too many pitches without proper rest and not taking enough time off from baseball every year. These are all issues in Japan, especially the latter, since high school sports clubs practice year round. The Pitch Smart research found pitchers who play more than eight months a year are five times as likely to need surgery. The pitch smart guidelines suggest a 30-pitch limit for 18-year-olds pitching on consecutive days and an 85-105 pitch limit on four days of rest. Yoshida went in the first round of this year’s pro baseball amateur draft and has signed with the Hokkaido Nippon Ham Fighters, whose manager, Hideki Kuriyama, attended Saturday’s meeting in Niigata.